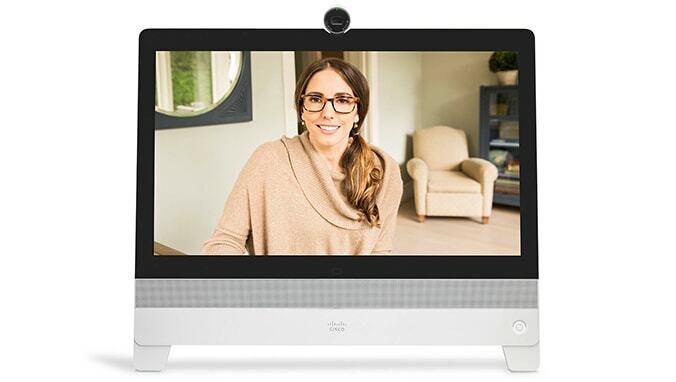 The Cisco Webex DX80 makes it easy to collaborate over video. Meet with people like you’re in the same room, with life-size video on a 23-inch touchscreen. And you no longer need an external monitor or separate IP phone. You can easily set up the DX80 yourself in just a few minutes. And you’ll find all the commands right on the touchscreen, which makes it easy to use, too. Connect your PC or Mac to the DX to share content in meetings, or to use the DX as a display. You can also play your laptop audio, including music, on the superior acoustics of the DX. Setup: It's quick and easy (as long as your admin has registered your DX; see below). You can configure the device yourself, and the setup assistant takes only a few minutes. View the DX80 and DX70 User Guide (PDF - 2.6 MB) to get started. 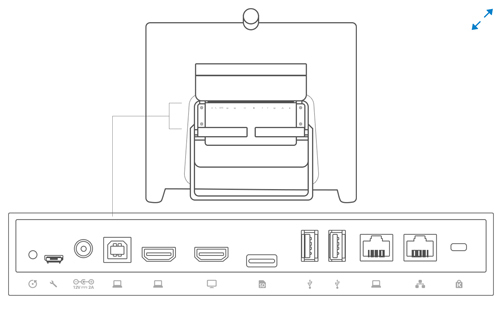 Connect the DX Series and a nearby PC to your LAN using built-in Ethernet ports. If you want, designate separate VLANs for the PC and phone to improve reliability of voice and data traffic. Or, you can connect it to a Wi-Fi access point using its antenna. See the DX Series Administration Guides.